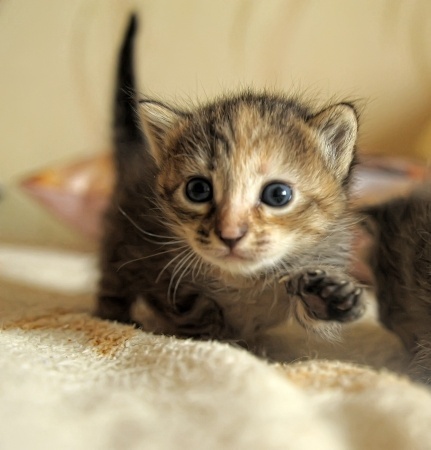 Cats have all the same senses that humans do: sight, smell, sound, taste, and touch. However, they work differently for cats than they do for humans. So what are the key differences? Having an idea of how your cat’s senses run can give you an insider’s view of how to take care of your cat and their overall well being. Cats have excellent night vision, along with extensive binocular and peripheral vision which makes it very easy for them to judge distances. With this in addition to the size and position of their eyes, they can see great amounts of detail and see better at night. Another feature of a cat’s eye is the nictitating membrane, which is commonly referred to as a third eyelid. Its function is to protect the cat’s eye. If it is visible, your cat may be suffering from dehydration, infection, injury, or stress. Any noticeable changes in the way your cat’s eyes look should be discussed with your vet. Just about every breed of cat will have ears that are wide at the bottom that come to a point at the tips and will be sticking up. Their ears are sensitive so they can hear a lot of sounds that humans cannot, including ultrasonic frequencies. Like humans, a complex mechanism within their ears helps them to balance. 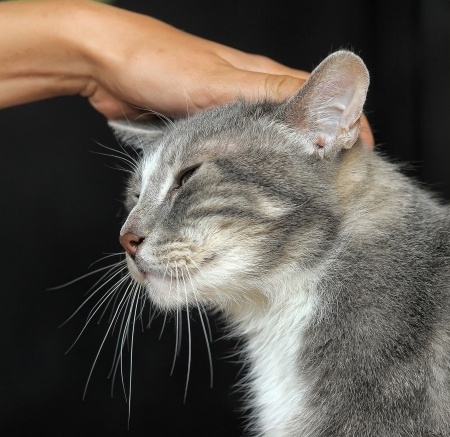 If your cat is shaking its head an abnormal amount, this is a pretty common sign that there is either something in there that shouldn’t be, or there is something else wrong, like an infection. Other signs that something is wrong are if they hold the ear down, scratch at it, or have other physical symptoms. These include reddening and swelling of the ears. This could be a number of things, so it’s best to consult a professional. It used to be thought that a cat’s sense of smell wasn’t as strong as other breeds, but they actually have a very strong sense of smell that will detect. Your cat’s nose will most likely have a black, reddish or pink tip with a cool, leathery feel. They can easily smell their prey or their favorite foods as it tends to be. They can easily get upper respiratory infections that are caused from different viruses or bacteria. These can be prevented with vaccines. If not treated, there is an increased risk for pneumonia and other issues. To treat it, there could be antibiotics prescribed. If it gets to be really bad, they may need to be hospitalized. Cats with stuffy noses may not wish to eat or drink. A cat’s first preference in food will be fish, and then generally other types of meat. When they are kittens, they will need about 600-800 calories a day in order to maintain a growth pattern and keep their energy up. Adult cats only require roughly 450 calories a day, or roughly the equivalent of 1 can of cat food. If you notice your cat has a lack of appetite, then that could possibly indicate dental problems or some other sickness that affects the mouth. The treatment of these problems would depend on what it was, but keeping your cat’s teeth clean will help keep most of them at bay. Keep in mind, your cat uses its tongue for more than just food- it uses the rough surface to clean itself too. Cats have a superior sense of touch and only like being pet in certain areas. They prefer behind the ears, under the chin, down the neck, and along the back and at the base of their tail. They don’t like their feet, tails or bellies being touched. They might bite if pet there too much. Their whiskers are also used as sensory markers for the cat. Each cat is different in how they experience the outside world and what kind of interaction they will like the best. There is however a problem called feline hyperesthesia syndrome, which means that they are overly sensitive to everything that they touch. This is a syndrome that requires management of the symptoms.